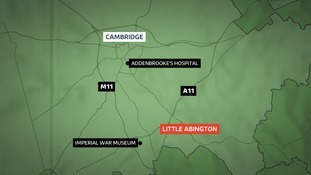 A father of three has died in a crash on the A11 near Cambridge. Police were called to Little Abington on Friday evening (2 February) just before 7pm, after reports of a collision involving a black Volkswagen Golf. 37-year-old Adam Rahim from Cambridge died at the scene. "Adam was a fantastic father our three children, a soul mate to his partner for many years and a loving son and brother. "He was a sweet natured, gentle loving man who will be missed by everyone who knew him."